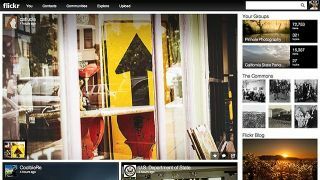 This week Flickr celebrated its tenth birthday, and its glory days look far behind it. The site that helped define Web 2.0 is now just another photo site, and it's long been eclipsed by another ten-year-old called Facebook. But while the numbers do look worryingly low, they don't tell the whole story. Let's get the bad news out of the way first: Flickr boasts 92 million users and 10 billion photos, which sounds pretty good until you look at its rivals. Instagram has 150 million people and 16 billion photos. Google+ has 540 million uploading 1.5 billion photos a week. And Facebook has 1.26 billion people sharing 250 billion pictures. Clearly, Flickr can't compete on quantity - but it can and is competing on quality. If Facebook is YouTube, a huge repository of often-terrible content, Flickr is more like Vimeo: not as big, but generally better. "I trust Flickr with my photos in a way I wouldn't trust Facebook or Google." Numbers can be misleading. Facebook may have 250 billion images, but 50 billion of them are inspirational quotes superimposed on sunsets, 50 billion are cat GIFs and the remainder are mainly baby photos. Flickr is more focused on what it calls "interestingness". While it's quite possible to use Flickr for Instagram-style shots of soup or to bore friends senseless with your holiday snaps, that's not what it's really about. In addition to "interestingness", Flickr is about usefulness. Websites like ours use it to find royalty-free Creative Commons images. Big companies use it to show off their products, or to let the world find out more about what makes them tick. Groups dedicated to every conceivable subject from art to zoos use it for social networking. Photographers use it not just to show off their stuff, but to store the high-res originals. Flickr also has something even more important: trust. I trust Flickr with my photos in a way I wouldn't trust Facebook or Google, the former because of its ever-changing privacy settings and the latter because I don't want its imminent Terminator armies to know what my family looks like. But there's another trust issue, and that's whether I trust Yahoo not to mess it up. Last year's renewed investment and interest in Flickr was great, of course, but that came after years of neglect - and this week's news that Flickr can't be bothered updating its Windows Phone app might not affect me, but it makes me worry that Yahoo's attention is already beginning to drift. I hope not. It's too late for Flickr to reclaim the photo sharing crown from Facebook, or to tempt all those photographers back from Google+. But it's not too late to double down on Flickr's mission statement: "We want to help people make their photos available to the people who matter to them." Flickr can't be the biggest photo sharing service, but it can still be the best.